Wine and Mortality, pt 2 – GARGANTUAN WINE. 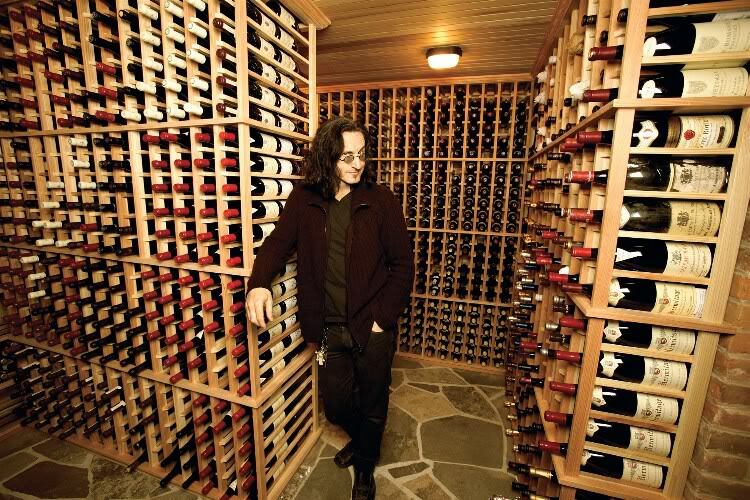 When will Geddy Lee have enough wine? My last article examined our penchant for aged wine in light of our mortal condition. Next up: wine collecting. A spurt of adrenalin accompanies any major wine purchase. Perhaps the same holds true for any number of things that aren’t as quotidian as bleach, garbage bags, or canned beans. But even when compared to other luxury consumer goods, somehow, it’s an entirely different emotional landscape with wine. How does wine somehow outstrip other purchases? It’s not unlike buying a book which one looks forward to reading. “I will get to know this wine”, one seems to assert — conscious or not — “because I’m going to ingest it and ponder it”. This leads to one of wine’s noblest pleasures: vicarious travel and education, through wine. What does one eat in this region that might accompany this wine? What do things taste and feel like in this corner of the world, through the lens of this bottle? Sure, wine is a drug. But wine is not simply a bottle of characterless vodka, which cannot speak of place and which offers a stiff, pharmacological dose of ethanol. Wine with a sense of place is so much more than just a bottle o’ booze; there’s a genie in there somewhere which speaks of a different culture. And there’s a historic record of weather and time itself, etched in the liquid — what was the vintage like? What decisions did the winemaker make? With each bottle purchased, one purchases a tiny lot of joyous futures; one imagines opening the bottle, sampling it, trying it with food, and then watching it change. Most importantly, there’s a commitment to living life as a collection of experiences implicit in a costly wine purchase which many consumers simply scoff at their entire lives. Instead of a durable good, which remains in a permanent state for an extended period of time, wine is an experience. Upon purchase, wine is a somewhat durable good. The moment it is uncorked, it is transformed into the experience it was meant to be. Given that wine itself is obviously ephemeral, both in its finite quantity and its effective lifespan, the percentage of people who would consider investing hundreds of dollars in it is miniscule. Surprisingly, wealth is a notoriously unreliable predictor. Exactly how many wealthy Park Avenue residents order case after case of dreadful $5 industrial Cabernet, I can never tell; but one thing is certain: they are typically the most dreadfully unhappy customers that cross my path, forever frowning. Those willing to spend more money on a fleeting experience than a durable good are in the minority. Compelling research suggests that it is these people who privilege experience over permanance who will access the dizzying heights of joy that life has to offer. First, let’s acknowledge the benefits of collecting. The magic starts once you strike a critical mass, being able to leave wines long enough for them to shed any initial shortcomings, and have a wine toolkit at hand that is ready to accompany whatever dinner is on the way. Critical mass means that you can age wine by simply forgetting about it in your collection. If you only have 10, 20 or even 30 bottles and consume a bottle every night or two with dinner, chances are things won’t live long enough to be forgotten. My wine collection has been at a max 200 bottles for the last few years — typically 180 on hand, with 20 or so incoming. This is already huge, really. I think I would like for my wine collection to never supersede 300 bottles; ultimate, filthy rich maximum? 500 bottles. Let’s be honest: that’s a perfectly ridiculous amount of wine already. Given that you’re obviously not going to stop trying new things, those 500 bottles will last a very long time. Ah, but the drawbacks. You end up with a 401k of wine, and can’t help but ponder what your savings would have been like had you never been touched by wine. Perhaps most grievous is the ever-swelling storage space necessary to shelter these beauties. Every single collector in the world complains of the same damned thing: I don’t have enough space to store my bottles. They’re like tribbles. Obsession and addiction can set in for any type of collector, and consciously or not, people begin buying wine for reasons other than eventually consuming it. Coldly calculated mere financial investments; or perhaps trophies to brag about in a form of conspicuous consumption (‘Oh, you really should go downstairs with Dan and check out the wine cellar’). Cellars soon grow into a monstrous behemoth that brings to mind the Collyer brothers apartment, defying any one mortal’s consumption potential over multiple lifetimes. Once the cellar swells to a certain size, negligence can set in, and one risks that glorious bottles are never drunk in their prime. They simply wilt away. It’s a shame. If these bottles are never converted into the experience they were meant to be, this is a crime against wine. This type of negligent collector is drowning wine. The wine had a story to tell; you silenced it. It’s not unlike art collectors whose private collections ensure that historic paintings are never seen by human eyes, and instead slowly decay, shrouded in dusty basements … whereas these paintings are human patrimony, fit for a museum. And so the bottles will go bad after being neglected, and the work of art that some winemaker toiled so very hard at for an entire year simply goes to waste, remaining trapped as a lifeless good. “I’ve got 1982 Margaux, too!” he proudly interjected. Behold! the infinite Hellmouth of hesitancy, waste, and regret suddenly appears stage left. I simply can’t count many times have I heard this. I myself occasionally succumb to specialitis, the degenerative perceptual disease which inspires gradual paralysis in wine collectors. It’s a vicious cycle, really: as wine ages, its value increases; thus, the burden of transforming it from an ever higher-value good into the experience it yearns to be grows ever more daunting. Specialitis is a serious phenomenon, and we need serious medication to treat it. 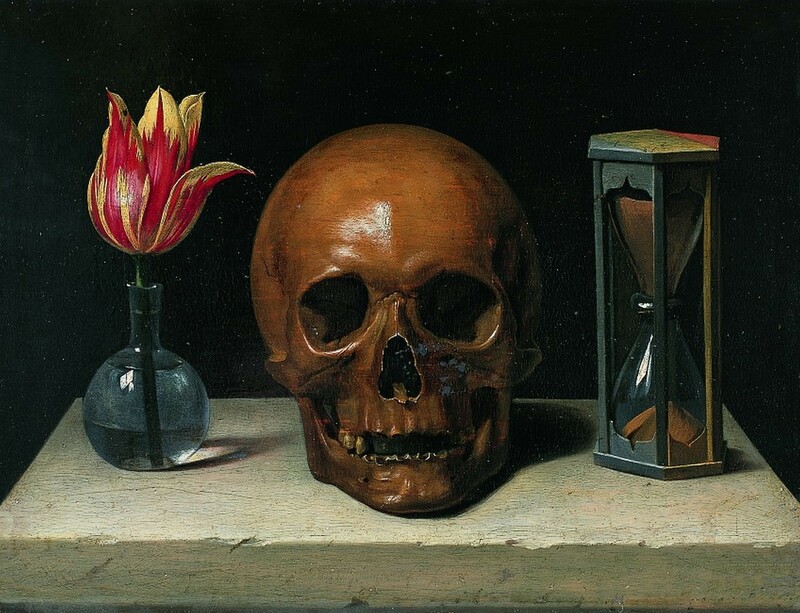 I think the finest medicine is a proper memento mori. Repeat after me: I’m gonna be dead in a box someday. And let’s dispel the other bugaboo: wine can be ‘honored’ far more easily than one imagines. Yes — agreed, who to drink it with is very important; as Patrick Piuze noted, you need positive energy to appreciate anything subtle in this world. But let’s not forget that a pork tenderloin is a dignified carriage for just about any wine. While it is easy to imagine aging wine collectors driven by habit alone, how many are unconsciously trying to convince themselves that they will somehow have time to drink all of this wine? Trying to ‘buy time’, as it were? Yet again, a proper memento mori is in order (words cannot express just how NSFW the Louie C.K. video below is). It is a rather selfish act, appropriating 1,000 bottles of wine for oneself, then kicking the bucket. Offering a valuable wine collection as a legacy to one’s children may seem a feasible means of preventing the wine from being drowned. Often, however, it’s time to transform the wines from durable goods into currency (divided between heirs), so the wines end up at the auction block, and the cycle continues: the helpless, errant bottles careen through the cosmos. Even if the wine collection we amass is a patchwork of aesthetic choices which is forever in flux given our consumption, the passing of time, and changing preferences, the collection itself becomes an expression of our own identity. Certain pieces prove integral; remove them, and something seems missing. Particularly with last bottles of a large, cherished lot with sentimental value, it often proves impossible to uncork a wine. One can’t bear the idea of never seeing the wine again, never being able to hold it in one’s hands. And unfortunately, that can leave bottles trapped in the realm of a cherished good far past their prime. Thanks for reading. Next up in the Wine and Mortality series: can wine actually extend our lifespans? 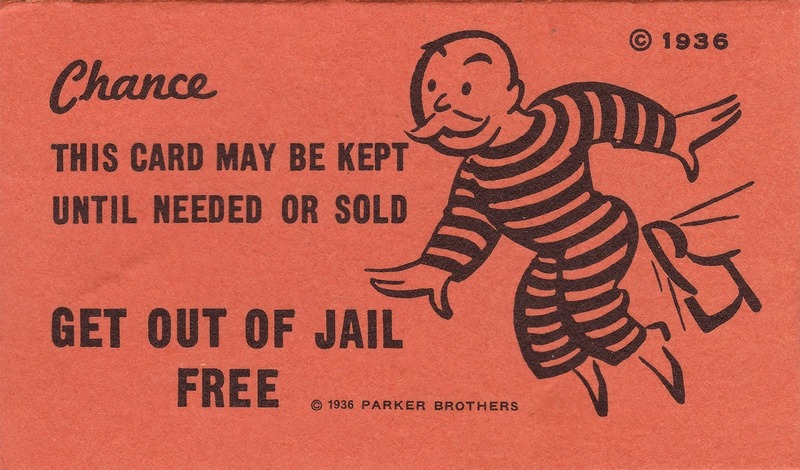 Similar in principle to Moore’s law, when I was a professional vintner, there was a “wine cellar law” to wit: No one ever builds a wine cellar big enough.